Sea Scouts are just like any other scout group, except we do a lot of our activities in and around the water, such as canoeing, kayaking, sailing, rafting, paddleboarding and power boating. PLUS we do all the other adventurous scout activities such as hiking, camping, bushcraft, cooking and rock-climbing. We actively attend all the fantastic scout events such as Cuborees, Jamborees, Venturers, Scout Hike and more! Our scouts have travelled far and wide to enjoy their adventures, to Worldwide Jamborees, Exchanges and Special Tours. Are you interested in joining us as a Cub, Scout or Venturer? 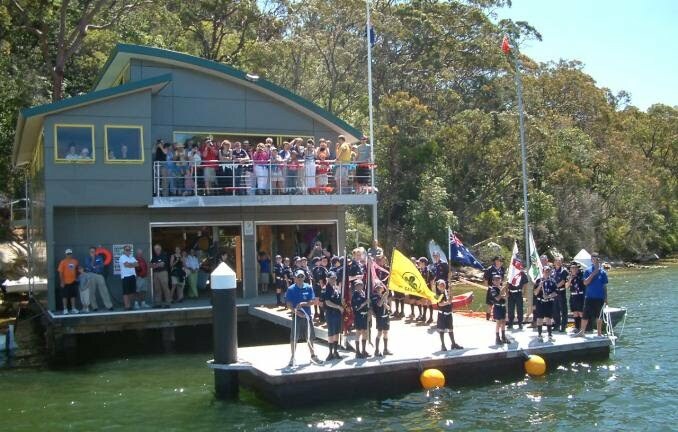 We'd be happy to arrange a time for you to come along one evening to see what 1st Sailors Bay is all about. Perhaps you're interested in becoming a leader? It's a rewarding experience in a great environment. We welcome your enquiries. The Group is grateful for financial support over the years from RSL Chatswood, Willoughby City Council and Club Willoughby.